The Code of Conduct Rules are differs from each other in every different branch, industry and operation. However, the common thing between all of the Code of Conduct Policies is constituted in the light of the definition we provided above. 1. without exploitation of the people who produced the goods, who must only work in safe and decent conditions. 2. without causing harm to the environment. As the supplier and manufacturer, we apply strict controls throughout the manufacturing process guaranteeing our customers that the most stringent standards are being met. Thus, it is implicit in acceptance of Organic Apparel USA Terms and Conditions of Trading, that any Supplier who accepts an order from The Organic Apparel USA makes a commitment to deliver only product which meets our customers’ expectations and therefore must operate within this Code of Conduct. Measurement of compliance with this Code of Conduct will be based on recognized industry standards and prevailing regulations where they exist. The Organic Apparel USA will take positive steps to ensure that their requirements are being enforced. As a minimum, all factories producing for Organic Apparel USA must be able to demonstrate compliance with The Ethical Trading Initiative Base Code. Refer to Appendix 1 of this section. It should be noted that the code covers processes that may be subcontracted and any living accommodation provided for workers. 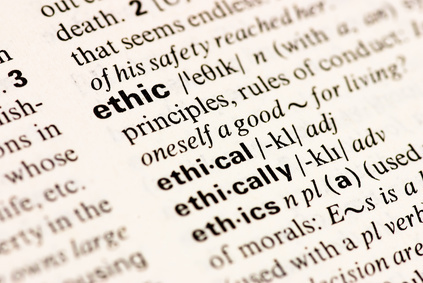 The Ethical Trading Initiative (ETI) exists to promote and improve the implementation of codes of practice which cover supply chain working conditions and to ensure that the working conditions of workers producing for the US market meet or exceed International Labour Standards. Visit www.ethicaltrade.org for further information and additional resources including a translation of the ETI Base Code into other languages. Familiarization and Display of the Base Code: It is an important responsibility of Suppliers to make sure that all parties involved in the production of Organic Apparel USA merchandise are made aware of the requirements of this Code of Conduct. Suppliers should familiarize workers with the ETI Base Code and display, translated into the local language, at each of their production facilities in a place visible and accessible to workers. Suppliers must keep records to demonstrate that regular reviews and checks on factory premises are occurring. The Organic Apparel USA or any appointed representatives may visit factory premises with minimal warning to audit factory conditions against this Code of Conduct. Suppliers must provide all information asked for to undertake compliance checks against this Code of Conduct. Initially Suppliers and Agents are required to self evaluate and establish clearly for themselves, detailed knowledge of their factory’s practices. Refer to Appendix 2, for a specimen Self Evaluation document. If Suppliers or Agents to The Organic Apparel USA are aware that a factory cannot meet the conditions of The Organic Apparel USAâ€™s Code of Conduct, this must be made known to The Organic Apparel USAâ€™s Head of Quality Assurance or Head of Buying as soon as possible. Suppliers and Agents are required to bring to the attention of The Organic Apparel USA any recent (within the last 12 months) independent factory audits carried out, and any remedial action plans which exist. Failure to meet the requirements of the Code of Conduct requires an agreement to be reached on an acceptable action plan within agreed timescales. Failure to do this to this will result in a review of future business and may lead to cancellation of existing orders. The Organic Apparel USA may request independent verification of factory standards against this Code of Conduct, as part of an audit program, or to resolve differences over non-conformances. The Organic Apparel USA will keep all information gathered regarding compliance with the Code of Conduct and each Supplier’s factory base, confidential. The Organic Apparel USA is making a commitment to take all reasonable steps to assess the environmental impact of the materials and practices employed in their product and business operations. There is a growing awareness and call to action for businesses to measure the impact of their products and processes on the environment. How The Organic Apparel USA measures ‘impact’ effectively is still evolving, as accepted industry standards and regulations emerge, which will in turn be communicated to suppliers and compliance measured. The Organic Apparel USA will work with their Suppliers and act to reduce the impact of their business on the environment, seeking acceptable alternatives wherever possible, and being prepared to stop practices where impact is considered unacceptably high. Suppliers must comply with all laws and regulations in respect of protecting the environment. Where appropriate; procedures for notifying authorities in the event of an environmental accident resulting from the Supplier’s operation must be in place. In line with The Organic Apparel USA ‘s Terms and Conditions of Trading (Section 3.22), Suppliers must take all reasonable steps to minimize volume and weight of packaging used, whilst not compromising product safety, or consumer acceptance of the product it contains. Responsibility Obligations (Packaging Waste) Regulations 2007 and Packaging (Essential Requirements) Regulations 2003 and expects all its suppliers to follow its lead. Wherever possible the materials used in Organic Apparel USA product, including its packaging, should be selected to be recyclable, with indications given to customers as appropriate. Suppliers must dispose of all waste materials safely, in accordance with local laws, and with the minimum impact on the environment. RoHS (restriction of the use of certain hazardous substances in electrical and electronic equipment) and WEEE (Waste Electrical & Electronic Equipment Regulations 2006) Electrical and electronic items must be certified RoHS compliant, and The Organic Apparel USA will comply with the WEEE Directive, where required by law, in the way in which items are disposed of. Opportunities are emerging to reduce the environmental impact of manufacturing and supply activities. The Organic Apparel USA and its Suppliers must be committed to fully researching these opportunities. Once clear benefits are established, and implementation is accepted as reasonable, Organic Apparel USA will act and Suppliers are required to promote and support this activity. The Organic Apparel USA will not make false claims to their customers. The Organic Apparel USA will work with its Suppliers to select wood materials with due consideration for the environment. Where it is feasible to do so, The Organic Apparel USA will seek evidenced assurance that the timber used is from legal and sustainable timber sources. Where wood substitutes are used such as fibre boards, the most environmentally sound solutions will be sourced. The Organic Apparel USA will work with Suppliers to explore real opportunities to source raw materials which can properly be labelled Organic. Any Organic claim made will be fully substantiated. The Organic Apparel USA is committed to the safety of customers and those involved in the manufacturing processes, and in minimizing the environmental impact of substances considered hazardous. Suppliers must be aware of legislation and growing concern regarding some chemicals used in production and finishing with regard to human health and safety and impact on the environment. Refer to Section 5. Under the Terms and Conditions of Trading with The White Company, Suppliers confirm that any goods provided to The Organic Apparel USA is in full conformity with specific regulations where they exist, and must be able to provide The Organic Apparel USA with supporting certification or Declarations of Conformity. â€¢ Be aware of prevailing legislation, and stay up to date with changes. â€¢ Demonstrate compliance with prevailing legislation and regulations. -Identify hazardous substances and the risks associated with the product they produce. -Eliminate hazardous substances or reduce their use to within acceptable limits. -Eliminate any high risk production practices involving hazardous substances and inform Organic Apparel USA if changes to product need to be made to achieve this. â€¢ As well as legislative requirements, Suppliers are asked to work with The Organic Apparel USA to embrace the growing concern in this area; establishing facts, to understand fully the options and informed decisions which need to be made, by product. Customers to be informed where appropriate. Suppliers are asked to take action now to establish which, if any of the chemicals listed in this Supplier Manual Section 5, are associated with products they produce. The Organic Apparel USA will not buy any product tested, during its development or for regulatory requirements, on animals. This includes the testing of any raw material in the formulation, after 2004. The Organic Apparel USA will take all reasonable steps to protect the welfare of animals. â€¢ The Organic Apparel USA will not sell fur. â€¢ Wherever reasonable, Suppliers should seek to establish the origin and route to market of any animal product used, and where associated risks of poor animal husbandry are known, all reasonable steps should be taken to offer customer assurances on products sold. 1. 1 There is no forced, bonded or involuntary prison labour. 1. 2 Workers are not required to lodge “deposits” or their identity papers with their employer and are free to leave their employer after reasonable notice. 2. 1 Workers, without distinction, have the right to join or form trade unions of their own choosing and to bargain collectively. 2. 2 The employer adopts an open attitude towards the activities of trade unions and their organizational activities. 2. 3 Worker’s representatives are not discriminated against and have access to carry out their representative functions in the workplace. 2. 4 Where the right to freedom of association and collective bargaining is restricted under law, the employer facilitates, and does not hinder, the development of parallel means for independent and free association and bargaining. 3. 1 A safe and hygienic working environment shall be provided, bearing in mind the prevailing knowledge of the industry and of any specific hazards. Adequate steps shall be taken to prevent accidents and injury to health arising out of, associated with, or occurring in the course of work, by minimizing, so far as is reasonably practicable, the causes of hazards inherent in the working environment. 3. 2 Workers shall receive regular and recorded health and safety training, and such training shall be repeated for new or reassigned workers. 3. 3 Access to clean toilet facilities and to potable water, and, if appropriate, sanitary facilities for food storage shall be provided. 3. 4 Accommodation, where provided, shall be clean, safe, and meet the basic needs of the workers. 3. 5 The company observing the code shall assign responsibility for health and safety to a senior management representative. 4. 1 There shall be no new recruitment of child labour. 4. 2 Companies shall develop, or participate in, and contribute to policies and programmes which provide for the transition of any child found to be performing child labour, to enable her or him to attend and remain in quality education until no longer a child; “child” and “child labour” being defined in the appendices. 4. 3 Children and young persons under 18 shall not be employed at night or in hazardous conditions. 4. 4 These policies and procedures shall conform to the provisions of the relevant ILO standards. 5.1 Wages and benefits paid for a standard working week meet, at a minimum, national legal standards or industry benchmark standards, whichever is higher. In any event, wages should always be enough to meet basic needs and to provide some discretionary income. 5.2 All workers shall be provided with written and understandable Information about their employment conditions, in respect to wages, before they enter employment and about the particulars of their wages for the pay period concerned each time that they are paid. 5.3 Deductions from wages as a disciplinary measure, shall not be permitted nor shall any deductions from wages not provided for by national law be permitted without the expressed permission of the worker concerned. All disciplinary measures should be recorded. 8.1 To every extent possible, work performed must be on the basis of recognized employment relationship established through national law and practice. 8.2 Obligations to employees under labour or social security laws and regulations arising from the regular employment relationship, shall not be avoided through the use of labour-only contracting, sub- contracting, or home-working arrangements, or through apprenticeship schemes where there is no real intent to impart skills or provide regular employment, nor shall any such obligations be avoided through the excessive use of fixed-term contracts of employment. Any person less than 15 years of age unless local minimum age law stipulates a higher age for work or mandatory schooling, in which case the higher age shall apply. If however, local minimum age law is set at 14 years of age in accordance with developing country exceptions under ILO Convention No. 138, the lower will apply. Any worker over the age of a child as defined above and under the age of 18. Any work by a child or young person younger than the age(s) specified in the above definitions, which does not comply with the provisions of the relevant ILO standards, and any work that is likely to be hazardous or to interfere with the child’s or young person’s education, or to be harmful to the child’s or young person’s health or physical, mental, spiritual, moral or social development.